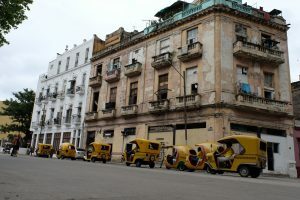 The reason behind this article, in company with the claims about its change and adopting capitalism, is to update the information of those who are curious about Cuba correctly, which is a very popular destination in our country too. 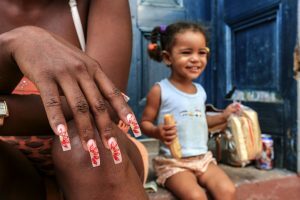 Several bloggers wrote about Cuba, some of them are right and some of them are wrong.. I lined up to get the free food with my friend’s ration card, travelled with municipality buses and trucks, carried the leftovers to feed neighbour’s pigs, joined in domino games and lively conversations under street lights. During that period, as a person with serious observations about family structures, human behaviours and relations and the reality of the country, also as a person who lived with them, I decided to write an article like this. 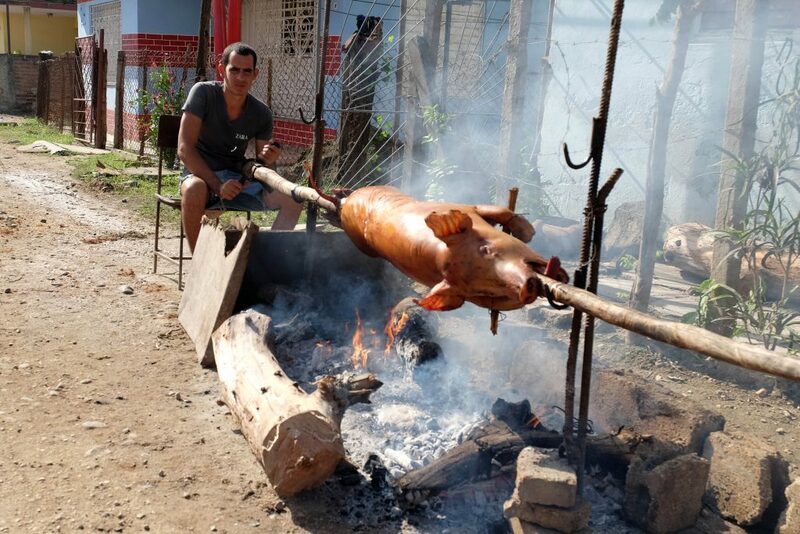 For four years, almost like a half-Cuban, I’ve been living their customs and traditions. 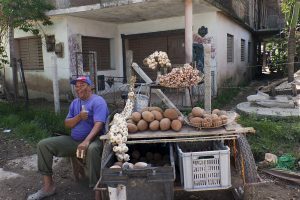 I visited the country of my dreams, Cuba, for the first time in 2012 with a photography tour. Within the 10 days-long tour, we visited several cities and took photos. 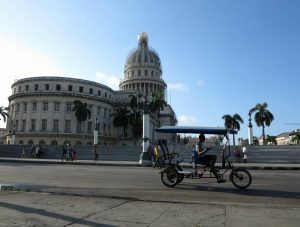 Firstly, this should be realized, visiting Cuba is something, living in it is totally something else. 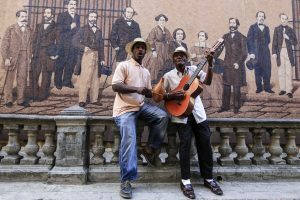 First time visitors, as they look up on internet to read blog articles before their arrival, they start to expect a Cuba with old American cars, live music on streets, dancing people, beautiful girls, cigar, rum, historical colonial buildings, everything is so beautiful. Are they all wrong? Of course not. Almost all tourists encounter with this scenery in Cuba. But, this is only the one side of the coin. You can buy a tour for average of 2000-2500 euros. 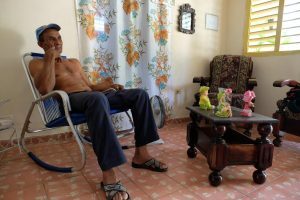 You are welcomed by the local tour company, later with an air-conditioned bus, you arrive your fancy hotel so luxurious that a Cuban may not visit for his life time. Hotels are usually all-inclusive. Foods are open buffet and includes meat, chicken, fish, vegetables, fruits, desserts and drinks. Although the furnitures in rooms may be old, you can find everything you need such as clean towels and sheets. You can also find this kind of comfort in various state-mandated rental houses, especially in Miramar and around. 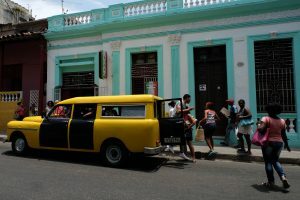 You start your Cuban adventure with Havana city tour on an old American car. The journey continues with the cities, Pınar Del Rio, Cienfuegos, Trinindad, Santa Clara, varadero. 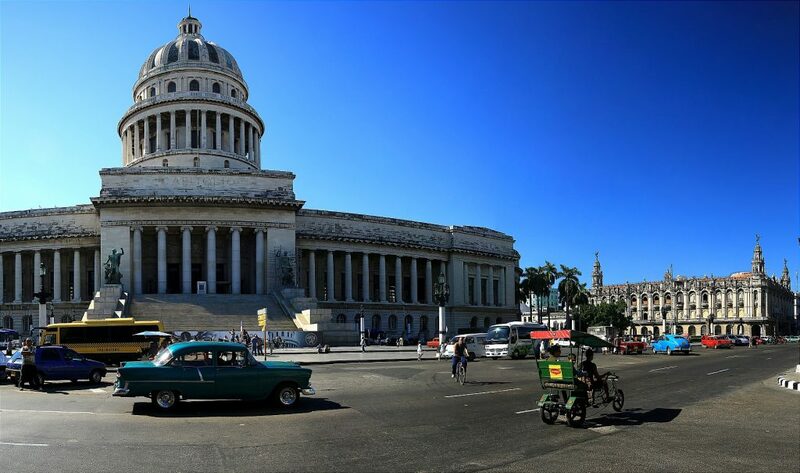 You may eat your lunch in touristic cafes and restaurants, take a lot of photos, buy souvenirs, rums, cigars, strike the classic pose of left fist on the air in Revolution Square, during nights you may dance to salsa and latin in music clubs. Just like that you spend the whole week to transfer with the same air-conditioned buses to airport. Trip to Cuba with every moment lived with the heart, and everything was nice, ends. In Cuba, it’s nice to be there and wander around as a tourist. Especially, if you are a bit rich, it’s splendid. Because, if you have the money, you can have the better of anything in this country. 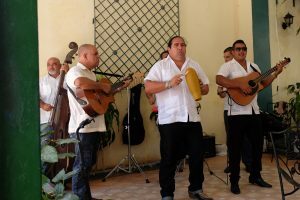 Following the brief summary for tourists, let’s see what Cubans do in real life, how they live, how about their education, health, culture, art and life standards. Let’s look at the real information on these and get to know this beautiful country. It’s a must to mark the American embargo on the country. It still continues. This year Obama visited but nothing more happened. Among UN countries, no other countries than US and Israel support the embargo. Economical growth is slow thanks to the embargo. 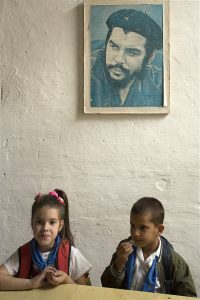 Even though the leader of Cuban revolution is Fidel Castro, his posters and statues are rarely seen. Image of Castro can’t be seen on the locally used money peso, also the money tourists use CUC don’t bear his image on them. 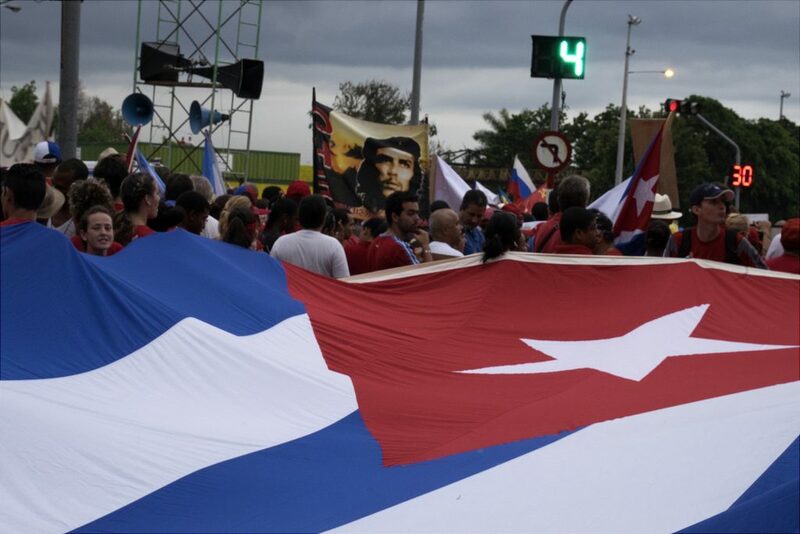 Everywhere you see the revolution commanders like Che Guevera and Camillo, as posters or on the stuff. 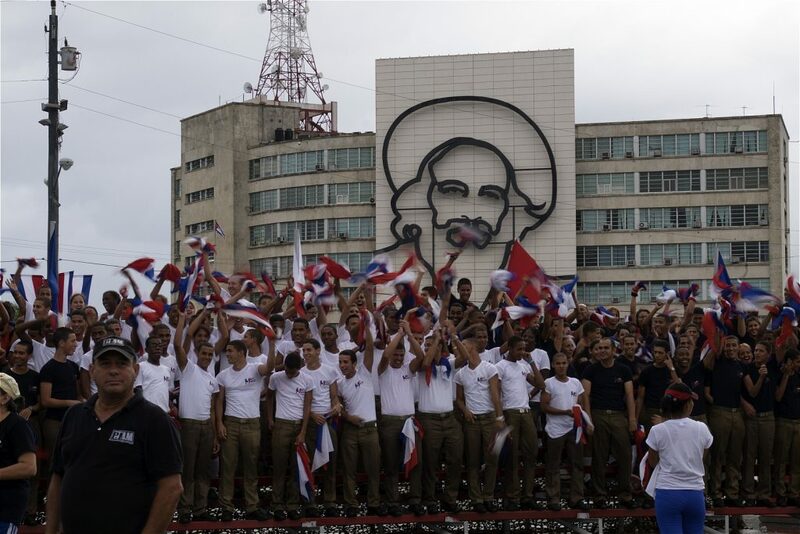 Che Guevera has been an important symbol of revolution and struggle for the Cuban and many more people. This is thanks to Fidel Castro, who thought of a long-lasting symbol for the revolution like Che, who is charismatic, handsome and a man contributed a lot to the revolution. There are others like Che, for example Camillo. But the main difference of Che, is that he is from another country, Argentina, and he fought for the people, equality and freedom in the name of another country and that way risked his own life. His behavious, mainly in latin american countries, is accepted as the symbol of socialism and revolution. 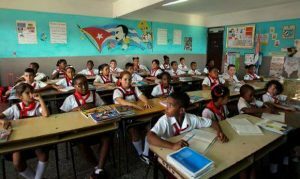 Even though it’s been 60 years since Cuban revolution, it has been the symbol for struggle of socialists in anywhere from Africa to Europe. Every tourist visiting Cuba buys a souvenir with Che image on it. The second most loved foreigner in Cuba is Hugo Chavez, who passed away recently, was the president of Venezuela. He is loved by everyone in the country. His photos are there in many houses and streets. He helped Cuba a lot, let the country struggled with embargo take breathe with donating petrol and building roads. 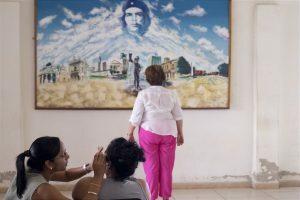 In return, Cuba supported Venezuala by sending doctors for medical services and teaching. The Cuban likes to live slowly. It’s rare to see people in rush running around. Some of our famous authors have written about what’s going on in Cuba. There are truths but also wrongs. 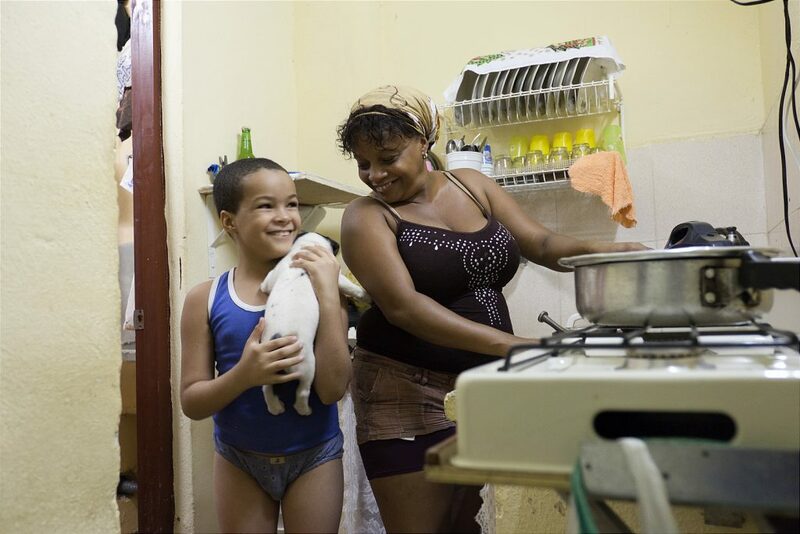 Most Cuban people want to live in better conditions. General opinion is that socialist system of having free education, medical services and housing should stay, but also there should be internet, malls, illuminated streets too. But, unfortunately, nowhere in the world, this kind of regime was adopted. In many countries you can get anything you want as long as you have the money, but when you don’t have money and insurance, you become miserable. 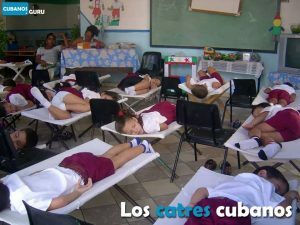 In Cuba, even if you don’t have the money, your children can get their education, you never become homeless, and most importantly, your treatment and medicine costs are absorbed. It’s unknown if Cuba can find a way at a point, but if they can it would be awesome. Education starts in preschool age. If both parents are working, the child is sent to the state schools called CIRCULO INFANTIL, in his age of 3. Families send their children to this school for five days a week and morning to evening. Basic knowledge and behaviour like eating, using bathroom, getting well with friends, numbers, colors are taught. During play times, the children play games. They lunch in school and sleep for one hour after their lunch. This completely free school is attended until the age of 6. If one of the parents is not working, the child starts school at the age of 6. There are two types of elementary education. Both programs share the same curriculum, it only differentiates based on whether one of the parents working, or both. If both parents are working, the kid is sent to this type of school. Education is done full day, between 08.00 and 17.00. At 10 o’clock in the morning, kids are given the milk and bread as for snacks. Lunch is done at school and all kids sleep for an hour after the meal. This practice goes on through the all elementary education. If one of the parents unemployed and stays home, the kids of this kind of families goes to this type of school. There are two types of education, morning and afternoon. Morning students goes to school between 08.00-12.30 and afternoon students goes between 13.00-17.00. There’s no lunch and sleep system here. Children eat at home. Both types of elementary education requires 6 years of participation. 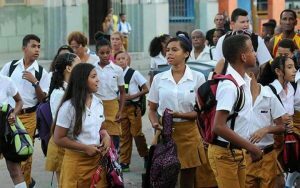 Children’s all school needs like uniforms, notebooks and books, pencils are provided by the state. 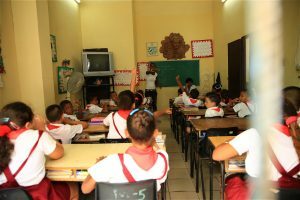 All children in Cuba are required to study in both elementary and high schools. After the high school, the child can stop his education. No children can work until finishing high school. 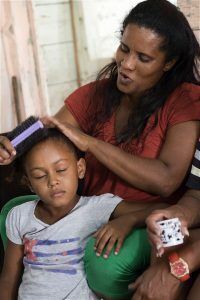 There is no child labor in Cuba. After high school, those who wish to continue their education are registered on this school. Education lasts for 3 years. Every year grade point average is calculated and after three years the university admission exam is taken. GPA of 3 years and the score of university entrance exam determines the university choice. Students can choose 6 universities. Although the quota for each department is determined by the state. 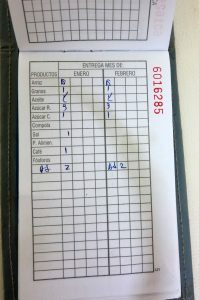 Considering the needs, the state determines numbers for each department and the one with the highest score is accepted to the related department. The state announces which department accepts how many students that year on boards of schools.. The student has to be registered to the nearest school to his residence. If the distance is more than 4 hours, then the student can choose the boarding education. All education needs are provided by the state for free. All men, unless they are disabled or sick, has to do military service. Those who get to university does it for 1 year before their education, and those who stop their education does it for 2 years. 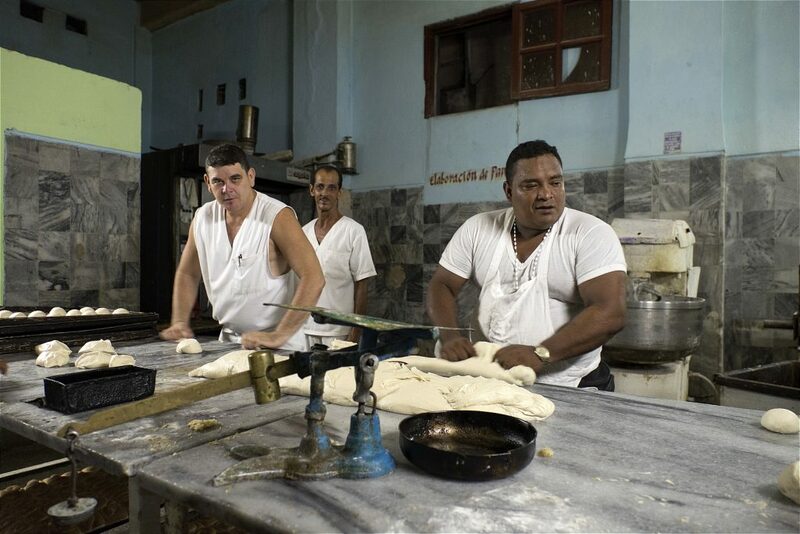 Almost everyone in Cuba works for the state. There are enough businesses for almost anyone who wishes to work. Although, in the last years as with the decline of economical power of the state and with the employment surplus, unemployment is a question now. 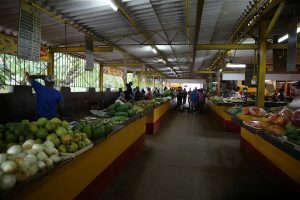 Lowest wage in cuba is 10-12 euros. This is usually for the unqualified workers. Lawyers and engineers earn an average of 15 euros a month. Highest wage is earned by the doctors, 40-45 euros. If someone decides to fund his own business, for example like a cafe, restaurant, they have to give half of their earnings to the state. The wages are very low for us, but somehow people live by it well. 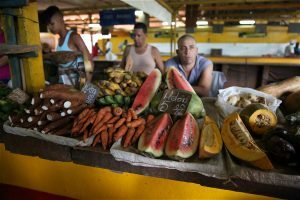 The state in Cuba distributes free food for the citizens every month. 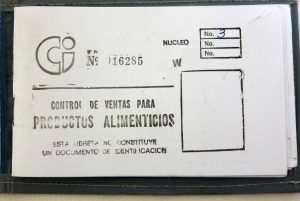 With a ration card called Comida Libreta, free food for each person in each family is distributed. What is included in the ration cards? and 1 kg chicken every two months. No meat is given on the contrary of what has been written.. Most things cost very low to us. If we are to look at monthly expenses, electricity, 2,5-4 euros a month. It can go up to 4 euros if there are air conditioning and other electronic devices at home. Water is cheap, for 0.25 a month. If there’s a line at home, the phone for local calls 1-2 euros, long-distance calls are up to 8 euros. It’s reasonable unless you chit chat. Natural gas is only available in Havana. Other cities use bottled gas and electricity. There are shops that sell food but most of the shelfs are not completely full. Almost everything is imported and most of them are too expensive for a Cuban to buy. People usually prefers small open air district bazaars. Also, a lot of things are sold by hawkers on the streets. Slaughtering cattles like cows and calfs are forbidden and has a penalty of jail time. Only the state can slaughter. The restriction is not true for sheeps or chickens. Veal is sold illegally. Some people are selling the meat of animals they have stolen from farms. This kind of veal is sold for 2 euros. A kilo of lamb is 1,5 euro, chicken is around 2 euros. Despite, Cuba is an island in an ocean, the fish prices are very high. Most of the community cant eat. Fishing is forbidden in boats as they may runaway. Only the state does fishery and exports to other countries. Most preferred meat is pork. 1,5 euros for a kilo. Also people can breed and sell. 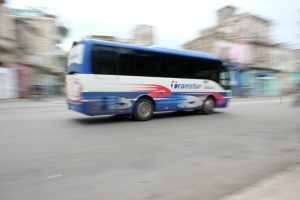 The Cuban, usually uses municipality buses for urban transportation. Ticket prices are as low as 10 kurus (TRY). Minibuses are around 50 kurus. Shared taxis, old american cars, are a bit more expensive. Many cities use horse drawn vehicles for transportation. 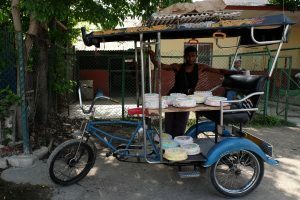 Also coco-taxis and bicycle cars are available in Havana. Plane, for domestic flights are more expensive than the other alternatives, so it’s usually preferred by the tourists or the small group with money. Buses called Via Azul are the most common transportation for the tourists who haven’t visited the country with a tour company. 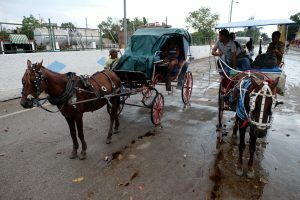 A group of the cuban also prefers this kind of transportation. Booking is done a day in advance, and you have to get your ticket the next day. It’s not a classic ticket like we are used to see, your name and your arrival is printed on a piece of paper. The buses have a suitcase weight quota like planes. 30 kgs and more means extra price. There are no seat numbers, people are sitting randomly. Also there are tvs and restrooms in the bus. Buses with air-conditioning stops at almost every city and drops-off and picks up passengers. It’s a relatively cheaper way of trip method, unless you visited with a tour company. Trucks. Yes you’ve heard it right. 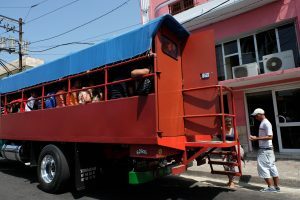 Most Cuban uses this kind of transportation for interurban trips. There are counters for sitting in 2-3 seat groups and people are sitting on them to travel. Usually they are hard top but sides are open. Sometimes 3, sometimes 15 hours of trips goes with jumping and skipping. They are cheaper compared to Via Azul busses. Rail way, In Cuba, trains and railroads are very old. Trains can break down during the travel several times. This is the cheapest way among the others but can get you very late to your arrival. Let me make it clear with an example. From Havana to San Diago de Cuba, with Via Azul it’s 60 CUC, with trucks it’s 20 CUC and with trains it’s 2 CUC. In Cuba, normal internet is only available in state agencies, hotels and businesses. No legal internet in houses. Only high affair workers can have internet. But, if you have some money, you can get an illegal internet. Firstly, you need a phone line. But not everyone can get phone line. Lines are sold by the state. As the lines are very poorly installed, not every house can get one. Phone can only be used where the lines are installed. If you are lucky and you got some backing in state, the phone line is installed for 12 euros. Some people are selling their lines as if they are gifting it, for high prices. It’s because, you can’t just sell your line to someone else with a price. This kind of phone lines cost up to 500 euros and bought buy those who have the money. After you are done with the phone line, again with illegal methods, you can have internet with prices per hour used. But still, it’s very expensive and very slow through the whole country. If you wish to send a photo, more than 300-500 kb creates problems. Mobile phone lines (Cubacell) are for 40 euros. It’s very expensive to talk on mobile phones. 1 euro for 3 minutes. Recently, wi-fi spots are created in some cities. People are using wi-fi here 2 euros for an hour. Hotels also have wi-fi but they are both slow and expensive, 10 euros for an hour. 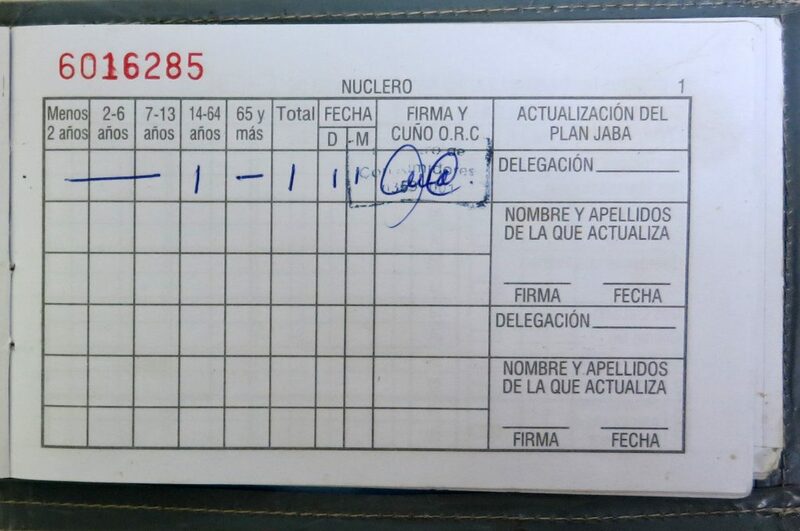 As of today, it’s really hard and expensive to go online in Cuba. Cuba state television have 3 channels. Like TRT in old times (BBC of Turkey). Mostly educational and news-oriented broadcasts are available. Entertainment, tv-series, cinema, colorful channels require an illegal cable tv. Some people coming to install cable to your house for 10 euros a month, that way you are able to watch mostly latin american channels. Most popular one is Colombian Telemundo. Many Turkish tv-series are still being watched by the Cuban with interest. Satellite dishes are illegal. Also, a few years before, private property right was accepted. In this sense, every Cuban can buy one house and one car. Second is not allowed at the moment. 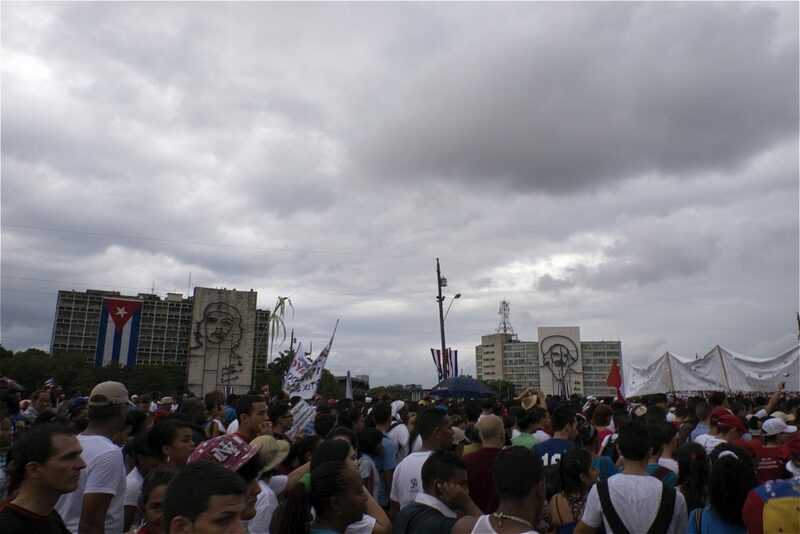 Many tourism companies are arranging special tours to Cuba for May Day. Having a socialist government makes the ceremony become into a feast. A lot of leftist people we call an old hand, comes here to celebrate May Day. In early hours, even before the sun rises, people gather and starts to march in corteges, with singing and dancing. They walk to Revolution Square. 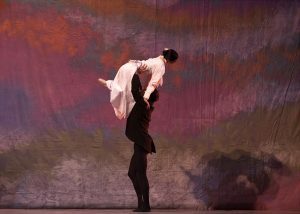 Dances and shows made by student are very nice here. Interesting thing here is that May day is mostly celebrated by foreigners and not Cuba citizens. Mainly from latin American countries, it’s possible to see people from almost every country. The celebration is now a symbolic touristic investment. 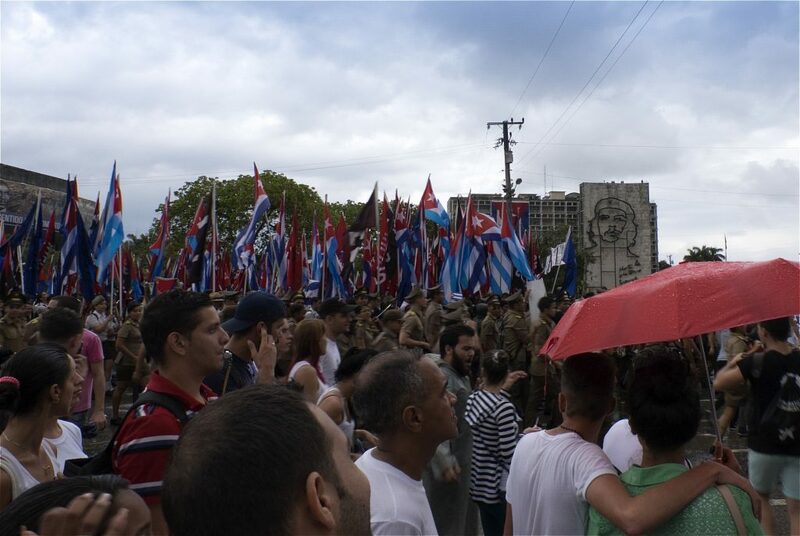 Of course, there is emotion and entertaintment but most Cubans just don’t participate in. Also people coming from our country, celebrates enthusiastically and puts their left fist in the air freely. But also they spend the money that a worker can earn over a year, in a day. And usually, not workers but people with high-income participates this celebration. It’s another irony. 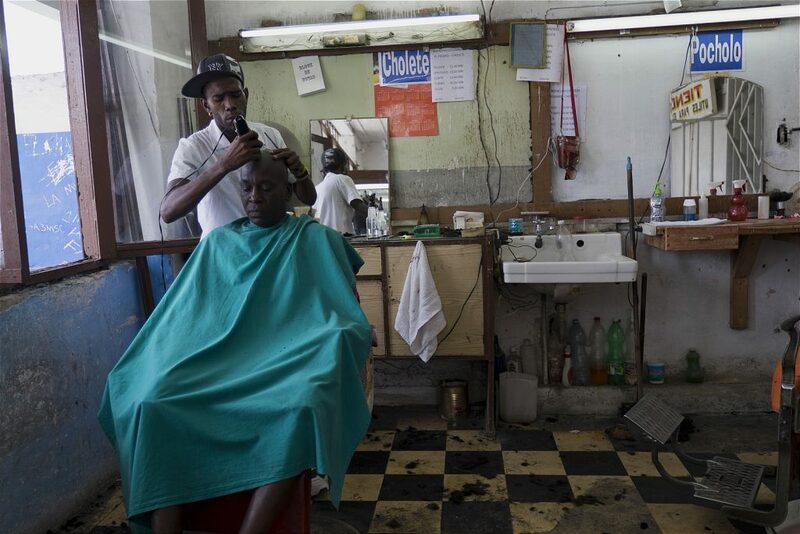 Most people living in cuba has a relevant working abroad, usually in Miami. Some of them are charged by the state (mainly doctors and medical workers) and some of them are fugitive. 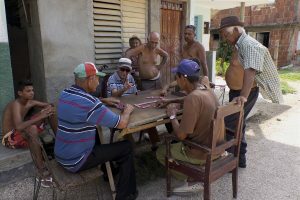 Many Cuban can have a bit better lives thanks to the money these people send. A lot of people works in 2-3 different jobs. To live by, many from a family have to work at the same time.. Despite the all negativeness, people are full of life. They are quick-tempered, excited speakers, lovers of dance, music and drinking. In special days like mother’s day, valentines, birthdays or new years, people buy postcards, on the streets, decorated with roses and hearts, and write good intention messages to give each other. This almost have become a tradition. 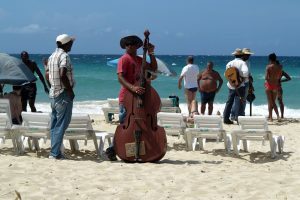 Music is everywhere in Cuba. In streets, buses, family conversations, houses. They listen to music very loudly too. If they need to speak while music playing, they talk louder instead of lowering the music. 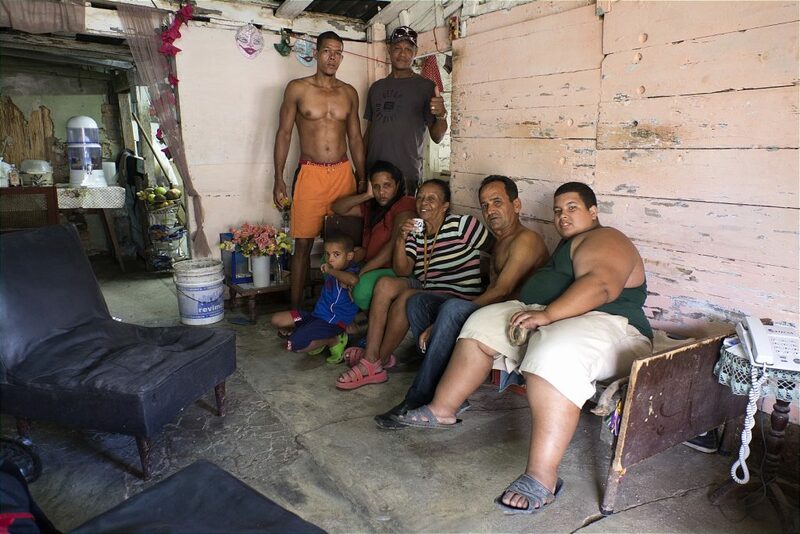 A cuban family produces almost no trash. They usually don’t have leftovers. They are reserved in the kitchen and are eaten the next day. Leftovers are never being gone to waste. The essential stuff for a home is a rocking chair. There are more than one in some houses. It’s now traditional to chat and welcome guests while sitting on it. Furnitures are usually 20-30 years old but are used as long as they are usable. They have really good neighbour relationships. They gather together in front of the houses and chat for hours. They are fond of family relations. 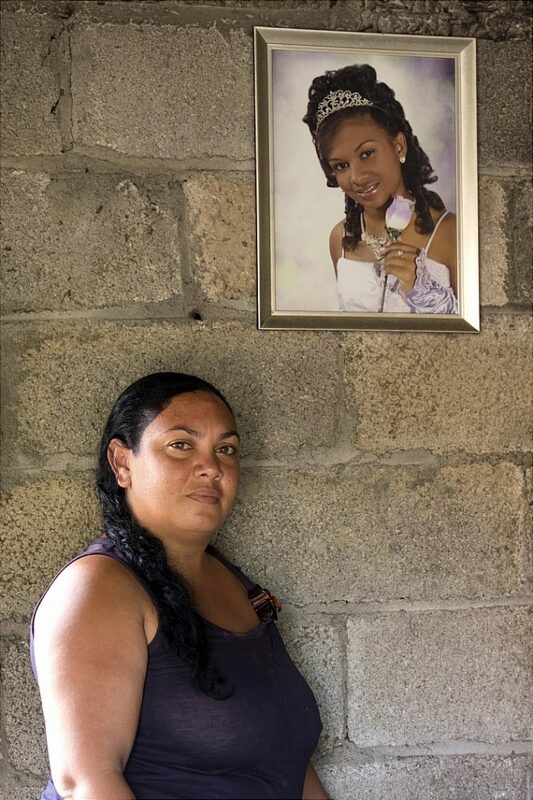 When a girl becomes 15 in Cuba, it’s a special moment for their families. They arrange a celebration for these girls. 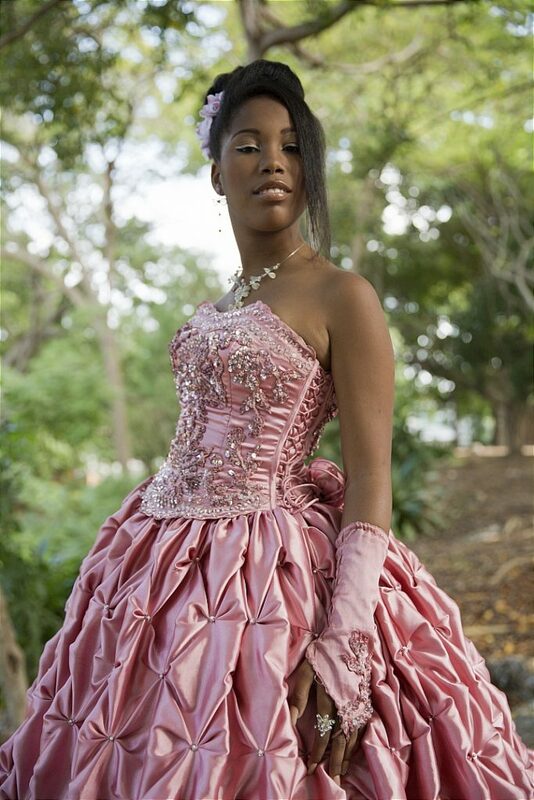 They wear stylish dresses like gowns and fix themselves up. Friends and family members come together to eat, drink, dance and take photos. After the ceremony, the daughter becomes free. They can have a lover and be with a man as they want. 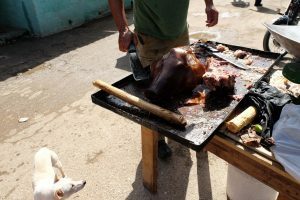 It’s a traditional ritual and is an important event for Cubans. Every family who has a daughter have their walls decorated with the photos taken during this time. Cuban people are poor but are care their cleaning. The most used cleaning product is soap. You never encounter people stink, even though the country’s every season is warm. Women are very well-groomed. Their nails are always dyed, hairs combed. They always walk upright and charmingly. General elections are not hold as it’s a communist party government. Only municipal elections are hold. The procedures like voting, waiting for ballot box, counting the ballot are all done by uniformed children between ages of 12-15. The joke here is that the children wouldnt cheat on this. It’s a very well procedure to my point. Number one source of income is nickel mine. There are plenty of it in the country. The other one is medications. Cigars, rums and tourism come after these two. 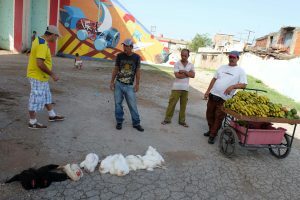 Despite the hard American embargo, it’s a country still trying to resist and is a country that is condemned to hunger. The country have raised important people in the fields of sports, culture and art. 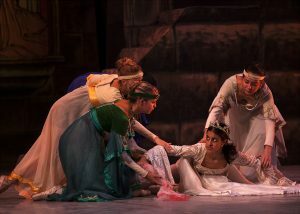 Ballet school in Havana is very famous. They always get good ranks in olympics. Privilege, bribery, prostituion also exist in the country but also there is a group who fights with this. There’s no strong religion belief. Recently, some churches are built but there’re no orders. Some people have African religion beliefs. On one hand, there’s a state providing free education, health services, housing, and on the other hand, there’s state that have limited the political freedom to a single party. I’m finishing my article on Cuba with a quote from Can Dündar, about this country. And the liberty all limited by equalitarian socialism. A government fighting with the misery and ignorance and not neglecting the liberty?